The Battle of Kiev was the German name for the operation that resulted in a very large encirclement of Soviet troops in the vicinity of Kiev during World War II. It is considered the largest encirclement of troops in history. 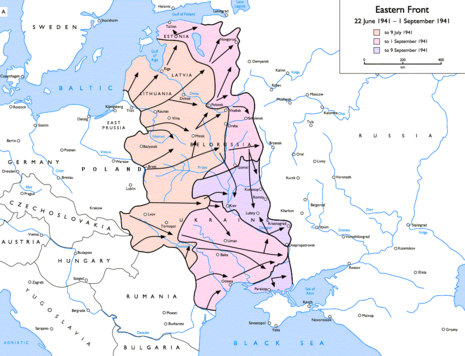 The operation continued from August 23, 1941 to September 26, 1941 as part of Operation Barbarossa. In Soviet military history it is referred to as the Kiev Defensive Operation (Киевская оборонительная операция), with somewhat different dating of July 7 to September 26, 1941. Nearly the entire Southwestern Front of the Red Army was encircled with the Germans claiming 665,000 captured. 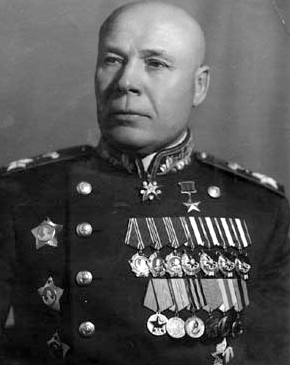 However, the Kiev encirclement was not complete, and small groups of Red Army troops managed to escape the cauldron days after the German pincers met east of the city, including head quarters of Marshall Semyon Budyonny, Marshall Semyon Timoshenko and Commissar Nikita Khrushchev. Nevertheless, the Kiev disaster was an unprecedented defeat for the Red Army, exceeding even the Minsk tragedy of June-July 1941. On 1 September the Southwestern Front numbered 752-760,000 troops (850,000 including reserves and rear service organs), 3,923 guns & mortars, 114 tanks and 167 combat aircraft. The encirclement trapped 452,700 troops, 2,642 guns & mortars and 64 tanks, of which scarcely 15,000 escaped from the encirclement by 2 October. Overall, the Southwestern Front suffered 700,544 casualties, including 616,304 killed, captured, or missing during the month-long Battle for Kiev. 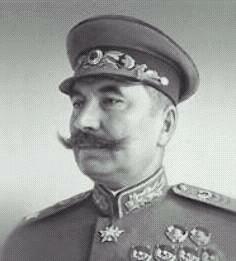 As a result, four Soviet field armies (5th, 37th, 26th, & 21st) consisting of 43 divisions virtually ceased to exist. The 40th Army was badly affected as well. Like the Western Front before it, the Southwestern Front had to be recreated almost from scratch. 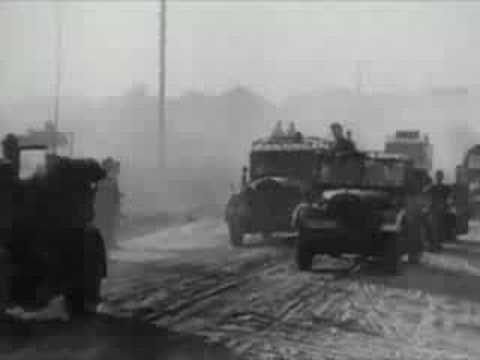 On June 22, 1941 Hitler began his “drive to the East” by invading Ukraine on his way to Moscow. On the first day of the attack the Ukrainian cities of Kiev, Odessa and Lviv were bombed. 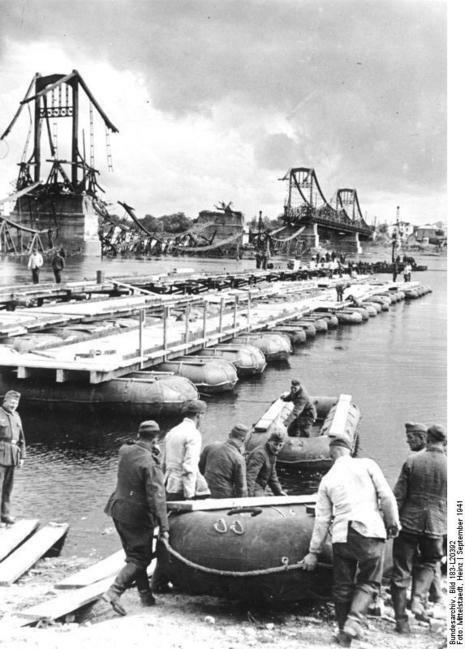 German armies captured huge territories of Ukraine and there was little resistance. At first the Ukrainians treated the Nazis as liberators from Russian Communist rule. However, although the Ukrainians may have suffered repression under the Russians, but they were treated much more brutally under the Germans. It only took a few weeks before the Germans' true intentions came to light.